As unpredictable as the weather, the cycle of cancer is often difficult to forecast. Here in the high desert of Arizona, our summer season is drawing to a close with the annual tradition of inviting the tranquility and restfulness of autumn to gently sweep over our state. Many of us who live here year-round actually enjoy the simmering summing days. We walk, ride our bikes or play pickle ball in the morning hours, and when the temperatures top 100 degrees we do other things. At an elevation of 3,200 feet, the desert where I live is lush and surprisingly green. We’ve learned to adapt to our weather and the patterns that give our lives a sort of symmetry. I’m more aware of my breast cancer in the summer, though, because I tend to do more inside. Write essays. Compose music. Read and research on the Internet. I sit and I feel. So, I’m mindful of my own body, including my numb and sometimes distracting mastectomy scar. I have little to complain about with stage 1 grade 3 male breast cancer, but there are certainly times when my limited range of motion or lack of feeling under my arm or the disfigurement of my chest becomes more troublesome. And like the seasons in the dynamic Sonoran desert where I live, — said to be the most diverse desert in the world – these things change from moment to moment. If you’ve never experienced a true “monsoon” storm, it’s not surprising. They mostly occur in Asia, Australia, West Africa and here in my home, the Southwestern United States (and Mexico). Like my own breast cancer diagnosis, they appear out of nowhere and knock you over with their power and fury. They dump an enormous amount of water in a very short time and then, just as quickly as they materialize, they are gone and the sun is shining. Why does this remind me of our ongoing journey with the perils of cancer? The only thing predictable about cancer seems to be its very unpredictability. Oncologists infuse us with drugs as we watch and wait. Radiologists probe our deepest body while we hope they see nothing at all. Every blood draw has the potential to create a “metastatic monsoon” in our lives. It’s a heck of a way to live, but that’s what we, as cancer survivors, have learned to do, much in the same way that humankind has adapted to live in the deserts of the world, only to find some real opportunity in that hardship. As a three-year breast cancer survivor, I naturally hope that my last monsoon is over. But I’ve learned that my cancer has its own change of seasons. Most importantly, I’ve come to know that my cancer is often difficult to forecast. 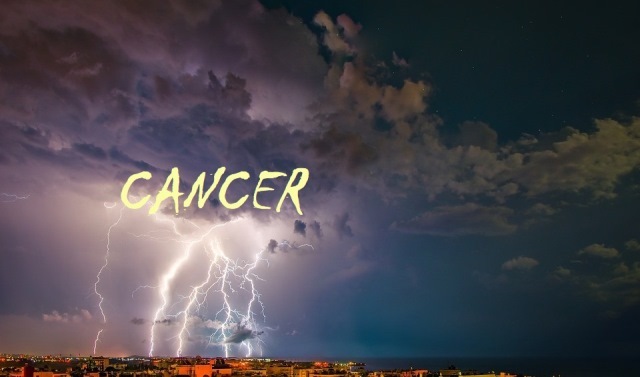 Indeed, the cycle of cancer is as unpredictable as the weather. And that is exactly the reason why I always keep my umbrella handy.